Oil may rise on speculation Saudi Arabia’s admission that a columnist was killed in the country’s consulate in Istanbul will strain the kingdom’s ties with the US. Saudi Arabia, the world’s biggest oil exporter, said on Saturday that Jamal Khashoggi, a critic of Crown Prince Mohammed bin Salman, died after an altercation in Turkey. The explanation was questioned by many politicians in the U.S. and leaders in Europe. Oil rose Friday for the first time in three days after US President Donald Trump promised “very severe” consequences if Khashoggi turned out to be dead. 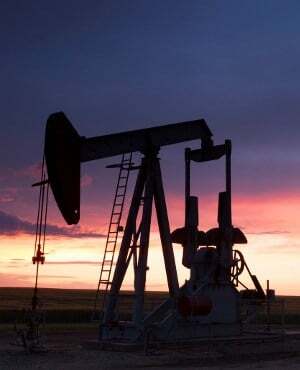 West Texas Intermediate for November delivery rose 0.7% on Friday to $69.12 a barrel on the New York Mercantile Exchange. Brent for December settlement climbed 0.6% to $79.78 a barrel on the London-based ICE Futures Europe exchange. Trump said the Saudi statement over the weekend was “a great first step. I think we’re getting close to solving a very big problem.” Later, speaking to reporters in Nevada, he said it was a concern that Khashoggi’s body is missing but reiterated that the writer’s killing shouldn’t affect broader ties with the kingdom. Brent has retreated nearly 10% from a four-year high on October 3 on signs of expanding American stockpiles and concern that high prices will hurt demand. Hedge funds cut bets on rising West Texas Intermediate crude prices for a sixth straight week, to the lowest since October 2017. Last week, Saudi Arabia threatened to use its economic clout to retaliate against any punitive measures. While it didn’t make an explicit reference to oil, analysts and traders said it could be read as a veiled threat to use its energy riches as a political tool. Saudi Arabia is “unlikely to withhold supply deliberately at this time,” Barclays Capital analyst Michael Cohen said in a report on Friday. Cutting output would hurt the valuation of the planned initial public offering of state-run Saudi Aramco and “it would damage a reputation as a reliable oil supplier that Saudi Arabia has long sought to burnish,” he said.